BlancLink is a unique team of individuals who work together to solve today's complex problems with technological solutions. The origin of our name, BlancLink, is a reflection of what we want to accomplish. “Blanc” (pronounced [blahngk]) is most commonly recognized as the French word for white. But, in the original old French, it also means “shining”. Technology provides the link that connects and empowers people, thus the reference to it in our name. Through technology, BlancLink hopes to be the shining solution to today’s problems. Our focus is on solving social, environmental and economic problems through the power of mobile technology. Smartphones, currently in the hands of billions of people around the world, provide a broad base of users holding a deep level of computing power. By tapping into smartphones, BlancLink is able to solve seemingly insurmountable problems and connect people in novel ways that create transformational impact on their daily lives. Fulfilling our purpose is not something one of us can do alone; which is why our team is so critical to what we do. We have created a team of experts in numerous fields, from business development, to back-end systems, and to application infrastructure – all with the goal of solving today’s problems by advancing and applying technology. What's more, the BlancLink team is quickly growing. In less than two years, we have established offices around the globe and we continue to grow every day. Blanc Labs accelerates innovation for financial institutions and other industry leaders through a core focus on emerging technologies. Headquartered in Toronto, Canada, with another office in Bogota, Colombia, the firm builds cutting-edge technology in full partnership with clients in North & South America. We empower clients to enhance their digital offerings and bring creative solutions to market faster. 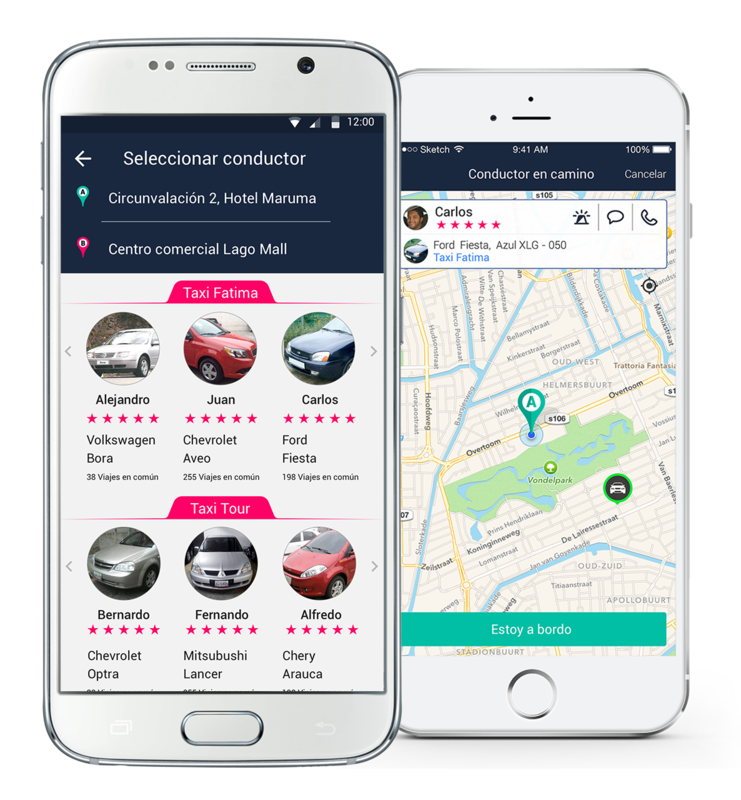 Nekso is a mobile taxi hailing platform operating in partnership with local taxi companies in Latin America. 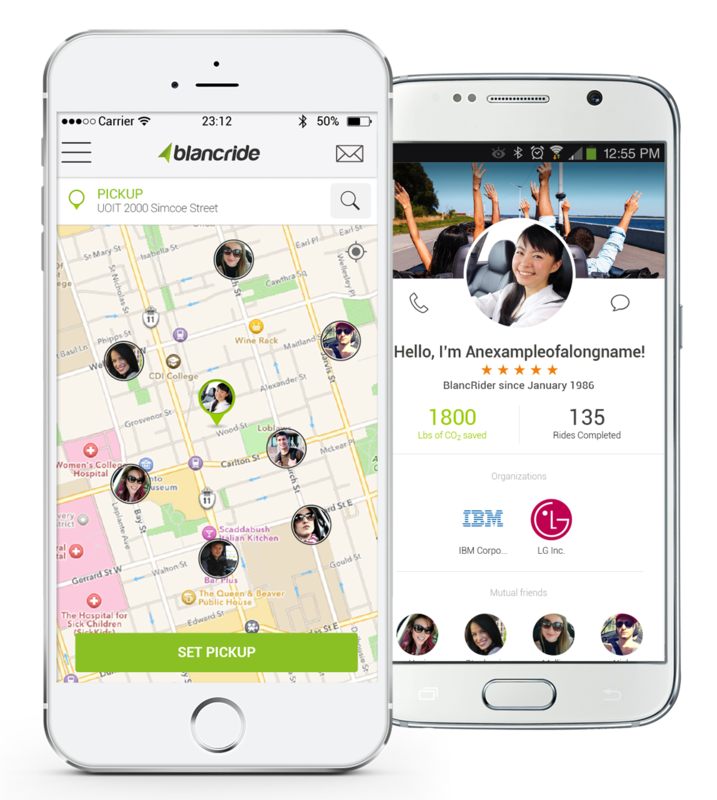 BlancRide is a mobile platform that helps commuters with similar routes arrange carpooling via smartphones. The BlancLink team has members from all around the world. Though we've grown quickly, we've made sure that every addition brings a new dimension to the team and that all members share the team goals and perspectives. With a diverse and multicultural background, unique vantage points always appear; this is where we shine. We encourage our team members to discuss the details as they see them, to view problems from all angles, and to build solutions that best cover all possibilities. This is not an easy task. But, with our team, we've found that every problem has a solution. It is just a matter of asking the right questions from the right group of people and being open to unexpected answers. Our team has a deep wealth of knowledge, and our team members continually learn and challenge themselves to keep it that way. Interested in hearing more about our team? Want to speak to a team member or to join us? Contact us today and let's get to know each other. BlancLink's culture is a mosaic built around all the individual team members. Our team members come from around the world, and each contributes something unique to our shared culture. Step into one of our offices and you will find a dedicated team of hard-working people who know how to strike the right balance between serious work and a great quality of life. We pride ourselves on openness, flexibility to allow our employees to take risks, encouraging environment to deeply examine problems that arise, the atmosphere to discuss challenges as a team, and the empowerment to act quickly on solutions once they are found. Want to hear more? Have a question? Feel free to contact us. Suite 1501, 67 Yonge Street, Toronto ON, M5E 1J8 Canada.